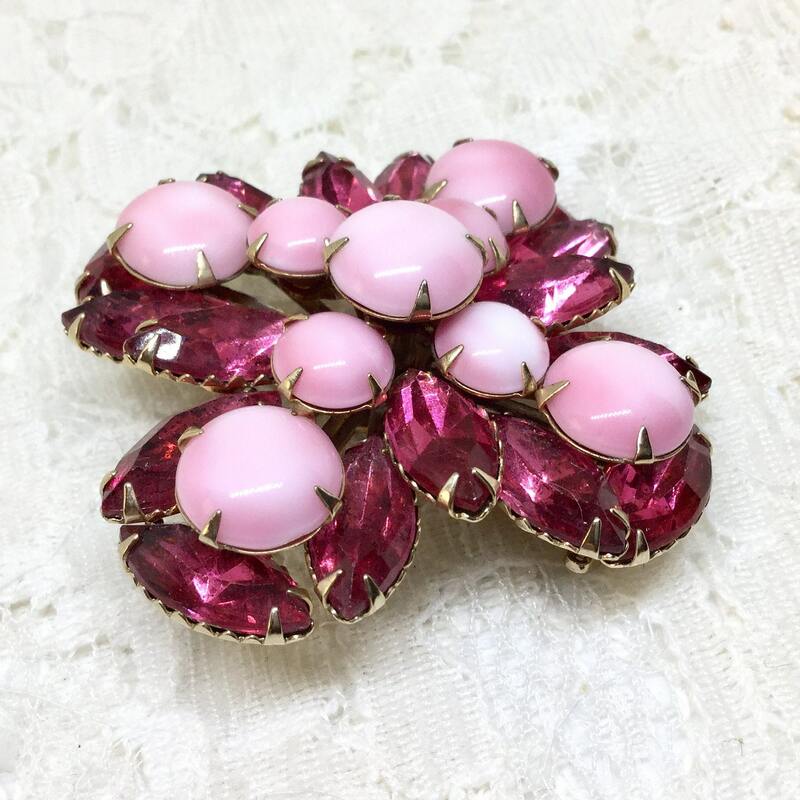 This is a unique vintage brooch with amazing pink milk glass cabachons and I have not been able to find a similar one. The cabachons form an x with three layers. 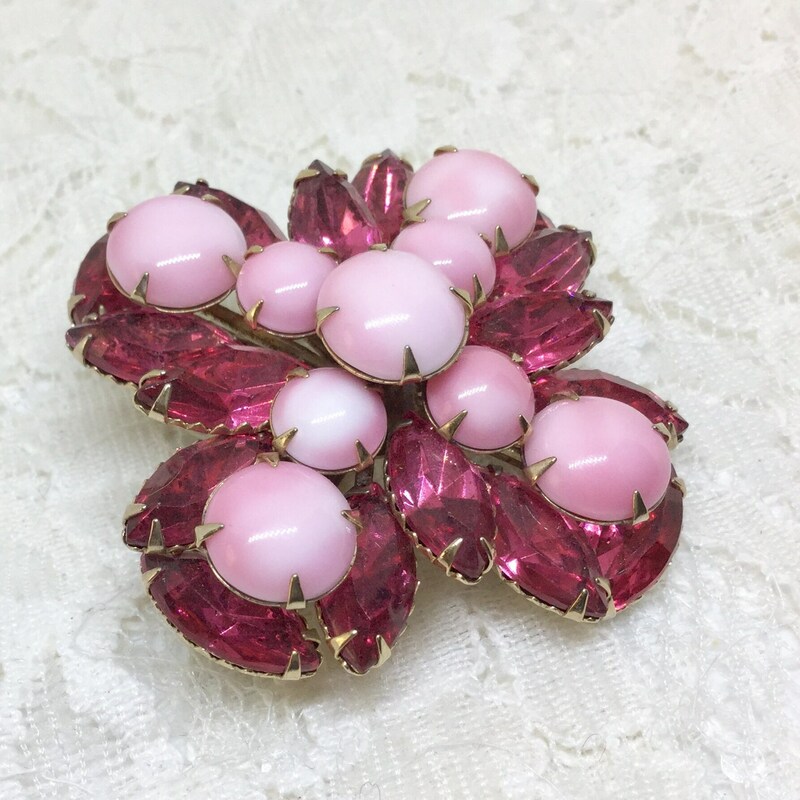 Surrounding the milk glass are sixteen pink navette rhinestones. 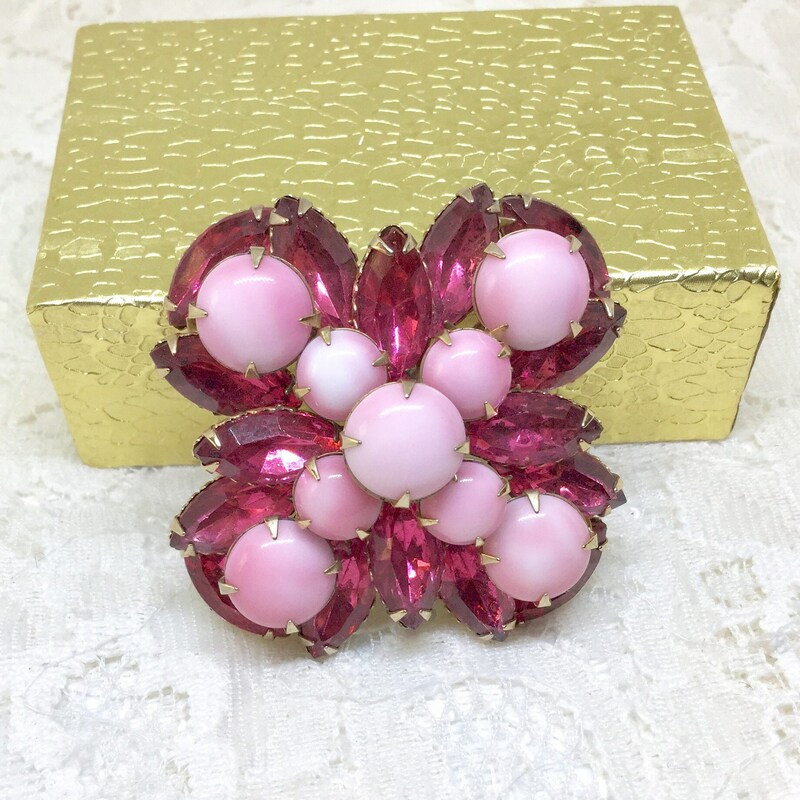 It is in excellent condition with minimal wear on the back. 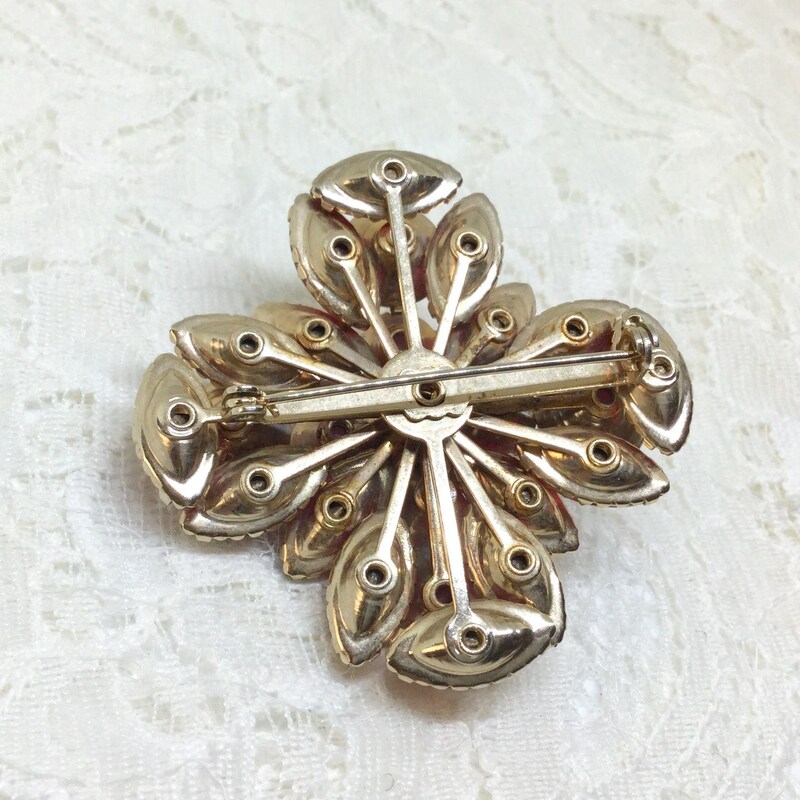 It measures 1 3/4” in diameter and the pinback is straight and closes smoothly and securely. 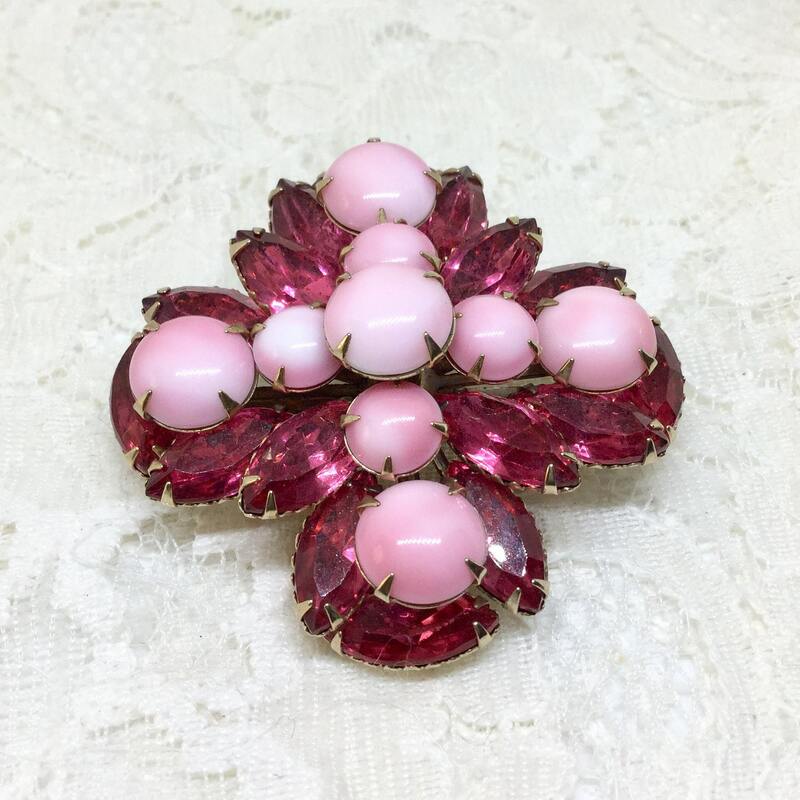 This is a fantastic pink brooch for the pink lovers, for those looking for a unique brooch, or for a pink wedding bouquet!